Can Laser Eye Surgery Improve Your General Fitness? There are many reported benefits of laser eye surgery. From vastly improved or perfect vision, to reduced costs (owing to the fact you no longer need to pay for expensive lenses) laser eye surgery could improve your quality of life in many ways – but could it improve your general fitness too? According to a story in The Daily Mail, this is exactly what happened to 30-year old Michael McCarthy. Shedding a total of seven stone, equivalent to 34 inches from around his waistline, McCarthy claimed that it was his ability to see clearly which help to visualise his skinnier, fitter self. He claimed that poor eyesight was responsible for his lack of participation in activities or sports, leading to his weight gain. Even sports like football were said to be off the cards, with McCarthy explaining that he had a fear of his glasses being broken, rendering him unable to see clearly, meaning he sat on the sidelines instead of playing an active role in the game. Undertaking LASIK eye surgery, one of the most popular forms of the procedure, McCarthy found his vision considerably improved once he had fully recovered. Prior to the operation, his prescription was -13 and -12.75 – figures which improved to -0.25 in both eyes to give him near perfect vision. With McCarthy claiming it opened a world of sport to him, allowing to go swimming and undertake mixed martial arts classes with workouts consisting of cardiovascular exercises and even weightlifting, this is strong evidence that eye surgery could help you become fitter. There are plenty of reputable firms who offer these surgeries for those interested in undergoing the procedure themselves. 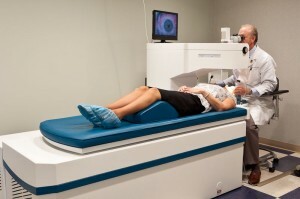 Optimax laser eye surgery is a perfect example. As one of the industry leaders, they can help you determine whether the surgery is right for you and provide detailed information on the results you can expect to see if you choose to undergo the procedure. Have you ever had eye surgery? Do you think there is a connection between sight and fitness?